If you’re looking for a more active stay at the Bickford Arms while you are residing in Holsworthy, there are plenty of sports activities to keep your mind and body fit and active. Check out the local sports activities, centres, trails, and tracks below to make your stay everything you want and need it to be. Take a trip to the local leisure centre of Holsworthy for a variety of activities. If you’re a water baby at heart, their 25 metre swimming pool is a great way to exercise your full body or have some fun with the kids. For mind and body connection, take some yoga classes with the qualified instructors, where you will learn to connect with your body and move in sync. Alternatively, get into the zone in the fitness studio where you can work out to your heart’s content. There are also lots of other rooms for badminton or squash as well as classes like aerobics to keep up the cardio. If you prefer getting out in the open air, there are lots of trails for walking, hiking, and cycling. Fill your lungs, get your body active, and enjoy the surrounding sights of Devon for a relaxing – or energetic – day out with your loved ones. Engaging in some cardio exercise and exposing yourself to the elements certainly makes dinner and a cup of tea much more satisfying when you return! Fishing lovers can get back to basics with fishing at the nearby lakes. 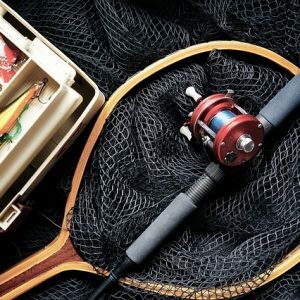 Ruby county is a prime spot for anyone with a love of fishing as you can take your pick of many lakes in the area as well as enjoy the amazing view of the surrounding countryside. There are a whole host of options for anyone needing a boost to their energy levels, or those with active kids looking for an outlet. Ask our friendly staff for any recommendations during your stay.